Everybody is familiar with beer, but there are different variations which you may not be so aware of. In particular, you may not have heard of or understand the meaning of craft beer, and yet it is very popular with so many people. Here, we will examine what the main differences are between regular beer and craft beer. To start with, we’ll look at where the beer comes from. Regular beer comes from a typical, large-scale brewery; think of any of the leading breweries in the UK and beyond, and you’ll realise that these are the providers of what we call regular beer. In the case of craft beer, though, this originates from craft breweries, which themselves are defined as being small, traditional and independent breweries; the kind of breweries which are family-owned and operate on a much lower scale. Hence the name “craft”, as in “crafted” by a particular family or group, in some cases dating back more than 100 years. Now that we’ve explained where the different beers come from, let’s look at the beverages themselves. Regular beer has the taste that you would expect; though there are many different brands and types, most people know what a good beer tastes like. It’s like when you eat cake, because whether it is plain, chocolate, jam etc., you’ll still know that it tastes like cake. 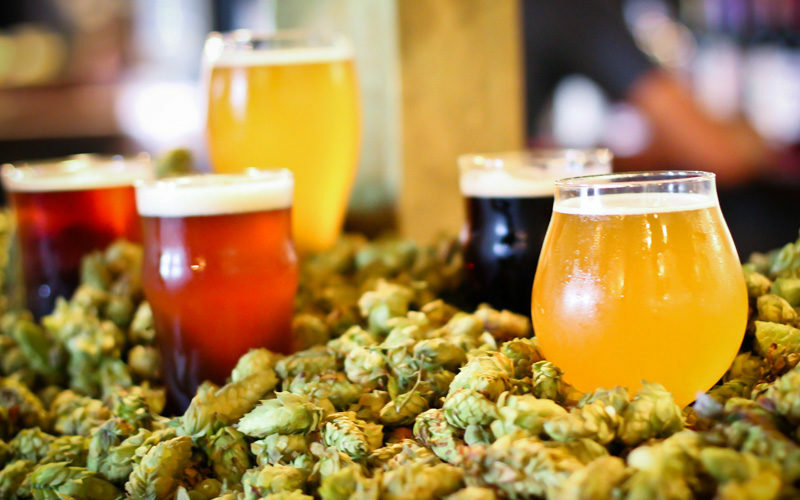 In the case of craft beer, though, the taste could comprise of anything including chocolate, coffee, oak, caramel, lemon and many other things. It isn’t a cocktail per se, but other elements have been incorporated so deeply that the taste of craft beer is truly unique, and unlike anything that you will sample anywhere else. Let’s look at some other differences between the two. Regular beer is served ice cold and in as many quantities as the drinker requires, whereas craft beer is served at a specific temperature and served in a limited number of samplings, allowing one to truly enjoy the beverage. Regular beer is marketed as being cool or trendy, whereas craft beer promotes itself purely on the quality of the drink. Finally, regular beer is produced in mass, meaning that ingredients are largely kept cheap and simple, whilst craft beer is built using specific ingredients that may be of a high cost, but ensure a high quality output. As you can see, then, there are clear differences between regular beer and craft beer which may not appear likely at first glance, and you may now decide to sample both in order to feel the benefits of both beverages for yourself! Learn more on our website at www.chaiscepage.com.